Know about the Software working through stepwise product guidance. Follow the step and get appropriate file format easily. Launch the software from start>> All Programs >> INTRIGUA Convert PFC. 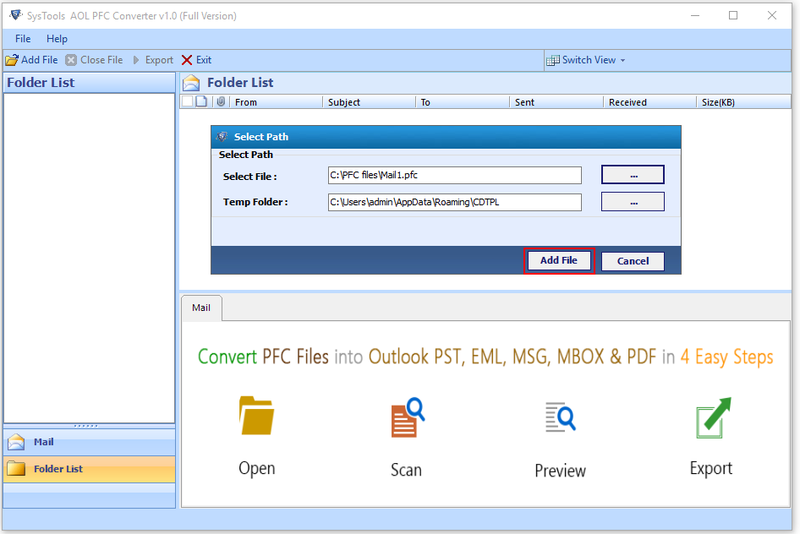 Click Add File tab from above toolbar to load PFC file, Browse for desired PFC file from source location. Complete directory path will be shown as soon as you select the desired PFC. Click Add File Button. After successful scanning of PFC file, the software will preview folder hierarchy of PFC file. 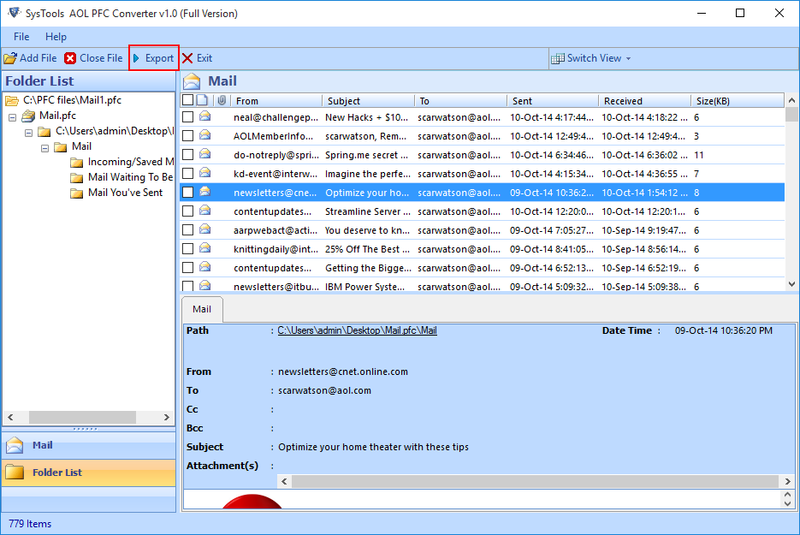 Navigate to mail folder to see all emails with related information like From, To, Size, Date Time etc. Click Export Button to begin process. 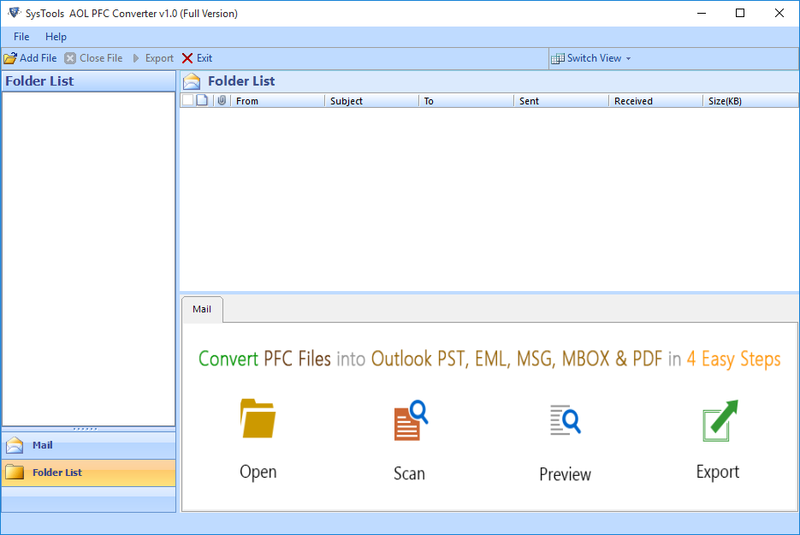 Export Options window wizards will be displayed now, select the file format in which you to convert file. 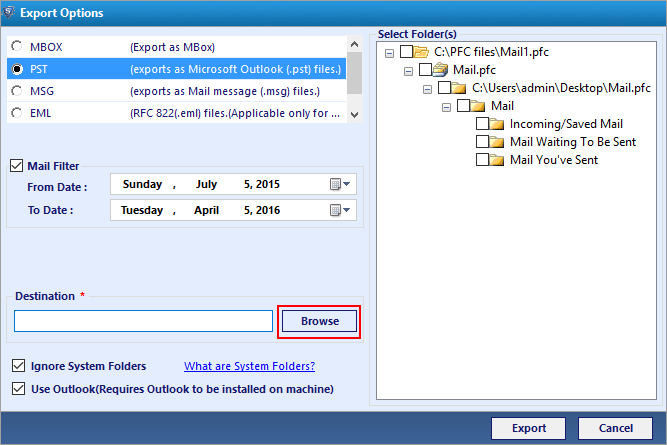 Specify the date filter range to filter the PFC emails. Thereafter choose the destination location to save the output file. Click Export button. As soon as you click export button the software will begin exporting file and after successful completion of whole process software pops up following confirmation dialogue box. 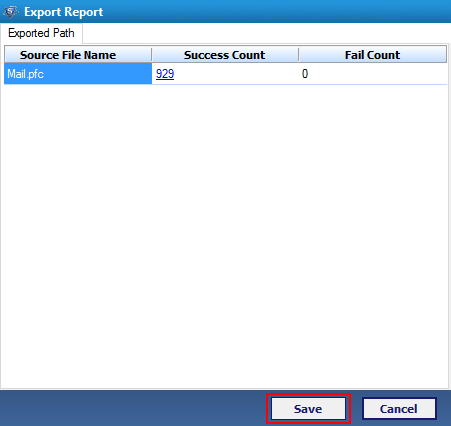 Click Ok.
Software also generate Export report for the whole process. 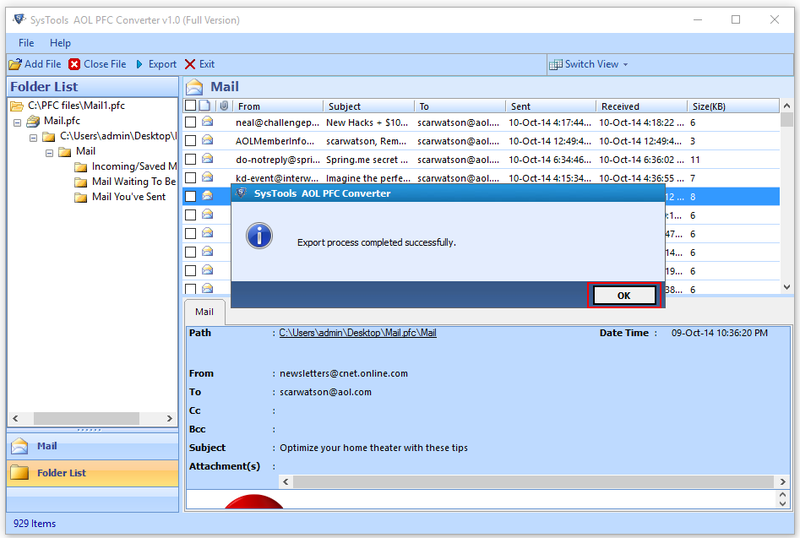 Click save button to save complete log report. Browse the location to save the report. After specifying location and saving the report the software will confirm the same with following dialogue box.